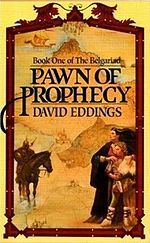 In 1982 I picked up Pawn of Prophecy by the late David Eddings. This was an amazing, eye-opening book for me, as both a reader and an author. Eddings had the ability to convey a sense of place in a few well-chosen words. The book opens in the kitchen of a farmhouse with Garion’s memories of playing under the table in a kitchen as small child. 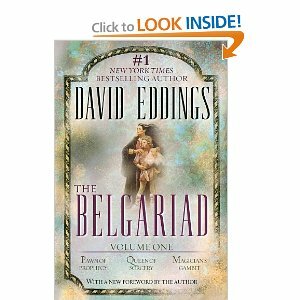 This is the first book in the 5 volume series, the Belgariad and chronicles the childhood of an orphaned boy, Garion, who is being raised by his Aunt Pol who works as the cook on a prosperous farm in a place called Sendaria. Garion has friends, and as time progresses he even has a wistful almost-romance with one of the girls there. 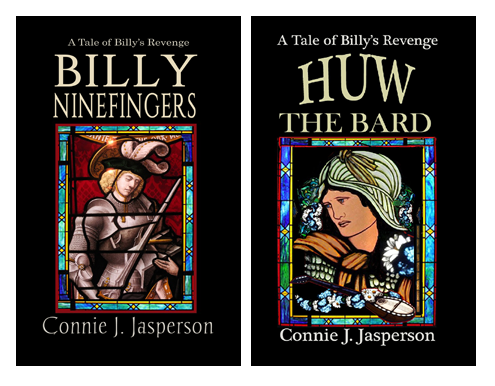 But all is not as it appears, and Garion knows nothing of the reality of his family or the world he lives in. He has other friends; Durnik the smith who is in love with Garion’s Aunt Pol, and a strange old traveling storyteller, Mr. Wolf whom his aunt seems to know well and whom she grudgingly tolerates despite his strange attire and love of ale. What David Eddings does in the first chapters of this book is truly magical. He immediately drew me in and within two paragraphs I was immersed in this world–I could smell the smell scents of the kitchen and visualize the people who worked there so companionably in the generous employ of Farmer Faldor. I felt I knew them, and I felt I knew that farm. I am not a boy, but Eddings put me inside a boy’s mind and I understood that boy on a personal level. Garion’s confusion and dismay as everything he takes for granted begins to crumble around him is real and I felt his anger, his hurt and confusion. I understood his need to stand on his own and I knew fear when he did. Eddings managed to draw me into that world with an economy of prose. He gives the reader just enough detail to fire the imagination, and the reader’s own mind does the rest, unencumbered by too much of the author’s personal vision of the scene. He does this by describing what the boy remembers of the kitchen, and more emphasis is placed on the emotions evoked by scents and memories of conversations, supported by the merest framework of the scene. Edding’s world is filtered through the eyes of the people who live in it. Garion’s earliest memories are of being a toddler–the sound of knives deftly dicing vegetable, his aunt keeping him corralled and happy under the table while she works, the sparkle of the gleaming pots and kettles high on the wall lulling him to nap. In that passage we see the entire kitchen, and we have a visual image of it. The child’s sense of contentment and safety that the kitchen represented is conveyed by the impressions of the kitchen instead of the image of it. The detail supports the story rather than impeding it. Many times I see authors try to force an exact, detailed picture of their world on the reader, and it ruins the story for me. An author doesn’t have to beat me over the head with minute detail; that sort of thing bores me. What reading the work of David Eddings has taught me is that economy of detail and simple lines often make a more powerful picture than a detailed drawing that looks like a search and find game. Some indie authors set a scene with so much detail it reads like an episode of Hoarders. I understand that, as I too wrestle with the tendency. In the editing process I have had some of my most cherished passages detailing certain places or people thrown out with the simple phase “This is hokey”, and while it hurts to see those words in the comments, it is true and so it is time to throw out a beloved passage and opt for a lean description. Sometime I opt for too lean a description and when the comment “What were they feeling? How did they show it?” appears in the right hand column I sometimes wonder why they can’t see it when it is as plain as day. But upon examination I realize that maybe a line or two more might help explain the emotion of a scene. Still, it is important to remember that my reader has an idea of what true beauty is, and they may not think a girl with sun-yellow hair in perfect ringlets framing a heart-shaped face with fine, arching eyebrows over corn-flower-blue eyes peering through dark curling lashes is as beautiful as I may think she is. It may be better for me to refer to her as fair-haired and astonishingly pretty, and leave it at that. If I could ask for any skill, it would be create a world with the precision and fine craftsmanship David Eddings brought to his work. To this end, I read the works of the great masters of fantasy hoping to absorb some of their techniques and wizardry. I also read the works of newly published indie authors hoping to find that one kernel of genius that will strike a chord in my soul and transport me to a world not of my own making. The next installment in this series will be focusing on just that–indies of great talent whose works are as yet unknown but which have had an impact on me as a reader. I’ve yet to read The Belgariad series, although it is on my TBR list. After reading this post, they are moving straight to the top! 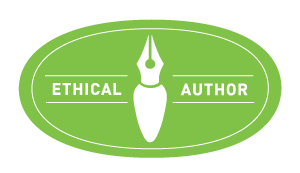 Like you, I try to read many different fantasy/paranormal romance authors to see what tips I can glean from their work and I’d encourage every author, no matter what genre they write in, to read books by as many different writers in their chosen genre as they can. Let’s face it – we never stop learning or honing our craft! Great post, Connie. I read Eddings during the period I was getting ready to write some of my own work. Although criticised for his linear plots, and use of fantasy cliches, I loved those 5 books dearly. If I had to pick one thing that I adored it was the dialogue- the banter. He writes it so well, and I felt it showed how you could have ‘normal’ speech in fantasy books. I agree, Ross. I’ve noticed there is a certain class of people who lurk in the shadows just waiting to be the first to criticize writers who emerge from the mud of nowhere with a popular book. Nothing chafes these self important people more than an author whose work is ‘popular’, and they can’t wait to declare their lofty disdain. But they seem to know his work well. This tells me these critics have read his work and have finished the books – something I don’t do if I really don’t care for what I am reading! It’s so true, what you say about critics. They must have read the books thoroughly to be able to make such criticisms. Such snobbery! @Deborah Jay – The two followup books are awesome too, as is the 5 volumes of the Mallorean!